Cartooning Workshops at the North Branch Berkeley Library! 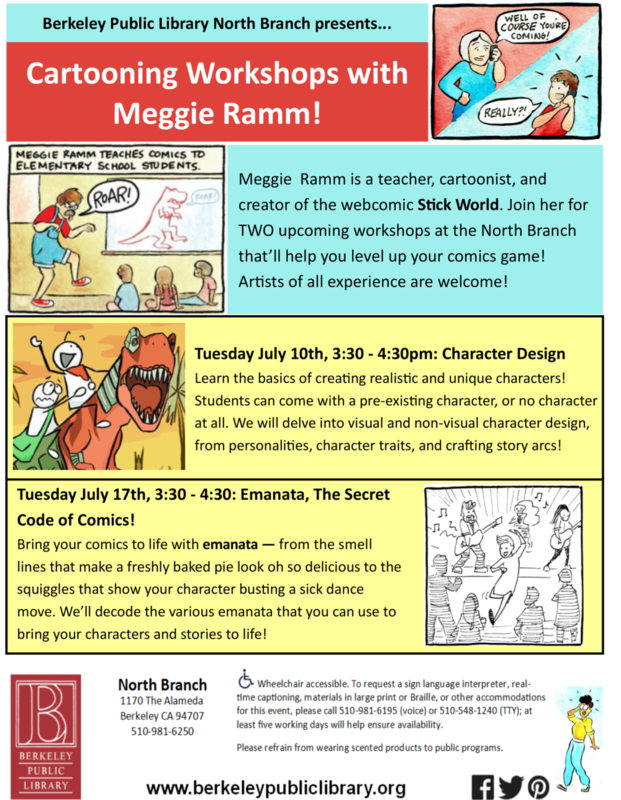 I'm teaching two classes at the Berkeley North Branch Library this month, one on character design and one on emanata! If you have/know any kids, bring 'em by and we can nerd out about comics!